Take on two incredible resort towns in one magnificent winter wonderland on this magical tour through Switzerland. Settle in for a leisurely tour of two of Switzerland’s best-known resorts. As popular in the winter as they are in the summer, Interlaken and Lucerne offer fantastic winter scenery and excursions both on skis and off. Explore high alpine peaks, gaze upon tranquil lake waters, sample Switzerland’s traditional winter warmer - cheese fondue - and enjoy a horse-drawn sleigh ride during your time here. 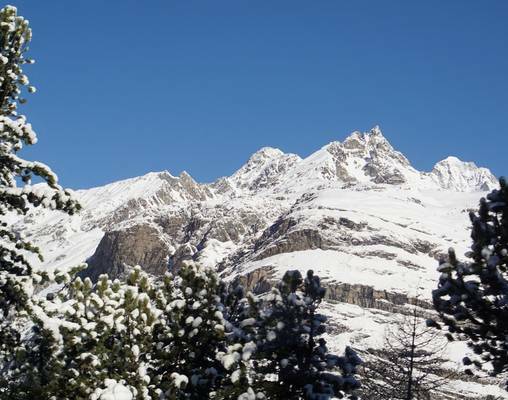 Snowy landscapes and fantastic winter adventures make this winter holiday one to remember. Hallo! Arrive in Zurich today and transfer independently to your centrally located hotel. You will have the remainder of the evening to explore the city or to relax in your hotel - the choice is yours! If you do decide to go out, stop by the region’s most exclusive shopping district, Bahnhofstrasse, for a taste of elegance. The food scene in the city is incredible, with offerings ranging from street food and cafes to highly renowned restaurants. Overnight Zurich. 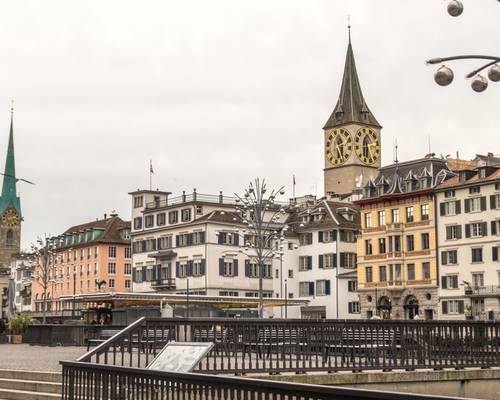 This morning you will board a high-speed train at Zurich’s train station for a journey through the countryside, into the beautiful city of Bern and finally on through the mountains until you arrive in Interlaken. This winter wonderland is situated in the heart of the Bernese Oberland and is surrounded by blue waters and rugged mountains. Check into your hotel and spend the rest of your day exploring this traditional resort town. Overnight Interlaken. Today, you will embark on an unguided tour to the “Top of Europe,” Jungfraujoch*. The excursion begins at the train station in Interlaken, where you will board the Bernese Oberland Railway for a ride to Lauterbrunnen or Grindelwald, then you will board the Wengernalp Rack Railway to Kleine Scheidegg. It is here that you will board the final railway of the excursion, the Jungfrau Railway, which climbs right to the top of Jungfraujoch. Prepare to be transported to another world as you reach the top; the views are pure magic. After you have had your fill, enjoy the array of amenities at the top of the mountain, including shops, an ice palace and more. Overnight Interlaken. A scenic journey lies ahead, as you make your way from Interlaken to Lucerne. Along the way, you will travel out of the Bernese Oberland and into central Switzerland via the Brunig Pass, past Meringue and into the powdery white landscape of Lucerne. Upon arrival, the day is yours to spend at leisure. Perhaps grab your camera and gaze upon the beautiful waters of Lake Lucerne, or head into picturesque Old Town. Overnight Lucerne. This morning, venture to the top of Mount Titlis, where snow and ice await you. You will travel by train from Lucerne to the resort town Engelberg first. Enjoy some time to stroll around the resort before taking a series of three gondolas up to the 3,030-meter peak of Mount Titlis. At the top, you can walk the Titlis Cliff Walk - Europe’s highest suspension bridge. Other things to do at the Mount Titlis include taking an ice flyer over the glacier’s crevasses, snowmobiling in one of the onsite parks, snowshoeing, skiing, ice skating and even visiting Igloo Village. Overnight Lucerne. Today you will enjoy a journey by boat from Lucerne to Vitznau, where you will board a cogwheel train bound for Rigi Kaltbad. After, take the cogwheel train up to the top; Rigi Kulm, and enjoy the view before heading back down to Arth-Goldau and back by normal train to Lucerne. Overnight Lucerne. Take one last look around Lucerne before you board your train back to Zurich this morning. As you arrive at the airport this afternoon, your magical Swiss adventure comes to an end. *Snow activities - subject to snow conditions. Superior hotels commonly used are the Hotel Alexander, Zurich, Hotel Crystal, Interlaken, and Hotel Alpina, Lucerne. Hotels are subject to availability, substitutes will be of similar quality and amenities. 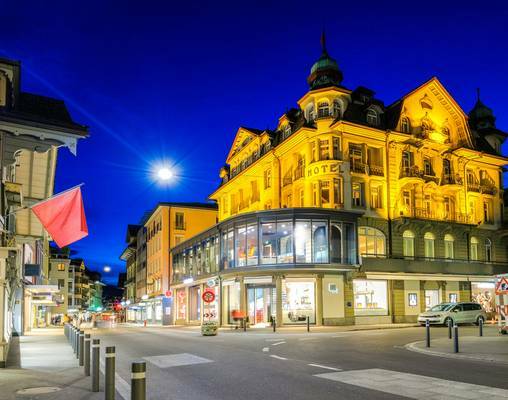 Deluxe hotels commonly used are the Worldhotels Opera, Zurich, Hotel Du Lac, Interlaken, and Hotel Des Balances, Lucerne. Hotels are subject to availability, substitutes will be of similar quality and amenities. Completed over 100 years ago, the Jungfrau Railway takes passengers to the “Top of Europe.” This train climbs over 3,450 meters above sea level to the summit of Jungfraujoch Mountain and offers spectacular views over the surrounding Swiss Alps, glaciers and more. The journey takes travelers through the Eiger Tunnel and concludes upon arrival at Jungfraujoch Top of Europe Station, where the offerings are just as grand as the views. Enter your details below if you would like to be notified when 2021 dates and prices are available for Magical Moments of Switzerland.